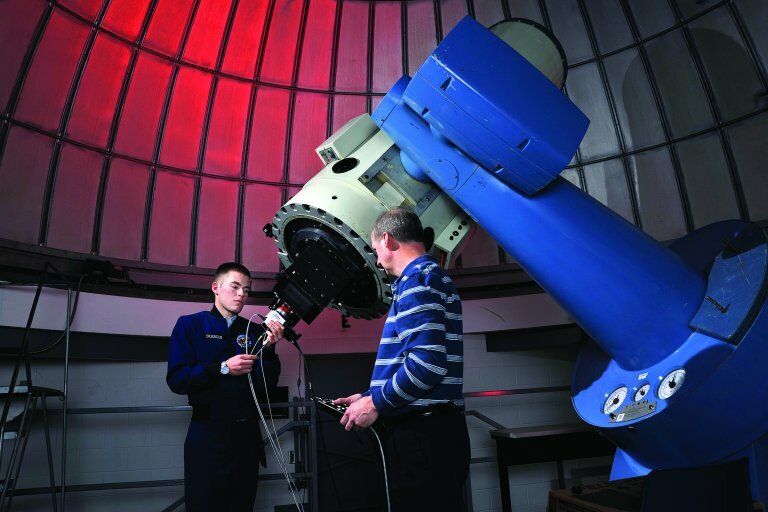 The Astronomical Research Group and Observatory, based at the USAFA Observatory, houses the 41-cm telescope, and supports the worldwide Falcon Telescope Network (FTN). We now have the funding for a state-of-the-art 1-meter telescope to replace our existing, 54-year-old 61-cm telescope, and we are pursuing the acquisition of this new telescope. ARGO conducts near-Earth research including resolved and non-resolved space object tracking deep-space research including asteroid tracking, astronomical spectroscopy and photometry and exoplanet studies. ARGO also supports the other DFP research centers and grant work. Finally, ARGO hosts STEM outreach activities at the observatory for Scout groups, school groups and teachers.